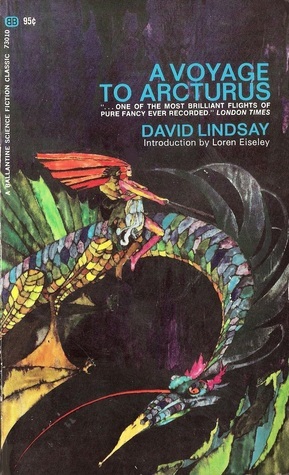 A Voyage to Arcturus is a novel by the Scottish writer David Lindsay. First published in 1920, it combines fantasy, philosophy, and science fiction in an exploration of the nature of good and evil and their relationship with existence. It has been described by the critic and philosopher Colin Wilson as the “greatest novel of the twentieth century” and was a central influence on C.S. Lewis’s Space Trilogy.